As per-usual, a Government Agency that is supposed to be at the “front-end” of an issue, ie: Pro-Active, Pro-Preventive, is wringing it’s hands in horror that time has finally run out for the Antibiotic to be effective. Being that the CDC and Big Pharma have a “revolving-door” relationship in their Personnel Departments and being Warnings have been plentiful from Researchers (see short TED video below this article) and Doctors, it makes one wonder what the Medical-Pharmaceutical Complex has for us in the future. The discovery “heralds the emergence of a truly pan-drug resistant bacteria,” the study’s authors warned. The strain of E. coli discovered in a 49-year-old woman in Pennsylvania was found to be resistant to colistin, “the antibiotic of last resort for particularly dangerous types of superbugs, including a family of bacteria known as CRE,” reports the Washington Post. 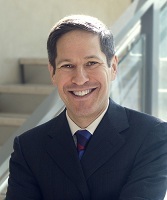 Colistin “was an old antibiotic, but it was the only one left for what I call nightmare bacteria,” said Thomas Frieden [pictured left], chief of the U.S. Centers for Disease Control and Prevention (CDC), according to Al Jazeera. An additional 20 patients at the clinic were tested for the superbug but came up negative, and the woman reported no travel in the past five months. The study authors report that it remains unclear exactly what the superbug’s prevalence is in the local population. “A coordinated public health response is underway to try to prevent its spread,” writes the DoD. The superbug’s arrival in the U.S. “basically shows us that the end of the road isn’t very far away for antibiotics—that we may be in a situation where we have patients in our intensive-care units, or patients getting urinary tract infections for which we do not have antibiotics,” Frieden said to the Washington Post on Thursday. I am 49 years old iam from Buck’s county pa but have reside in Both Carolina and have bin fighting MERSA for going on 2 years now something about this sounds very upsetting to me because before I even saw this I have bin getting the full run around about my condition. And strain of bacteria I full faced asked my doctor are you Sure this isn’t pig MERSA or aribic? Nothing. All of a sudden I am toasted out for 3 months with a case on the back of my skull. It started under my arms as big as golf balls then my chest shoulders neck and scalp .with er trip because my doctors medicine made me sick so er changed it that was April 8th 2016 .and the 16th changed to another antibiotic .whenever it started to work this time the infection started to come out of my ear’s right nostril most out of the right side and my eyes where very sticky this bacteria has a particular smell to. A musty unwashed sweaty smell like .I can smell it on others when its on their skin. I can’t eat regular things anymore .package food Nightshade’s gluetin I swell turn blue hart problems thyroid high blood pressure no job no money and I have no help and my doctor knows all this I also take ADD medicine ? I have pictures of of one point I have bin septic raised veins in my neck from the back flashing of light in the Left some right lower lid of my eyes Scarry at night walking though the house at night .This isn’t being taken very serious except pay outs . Ramanan L . reported of a super bug back in 2014 at TED .Big friggin deal .Shows U how useless TED and such forums and other big name celebs are . I have been fighting governments of Canada ,USA and UK since the early 1990s .Noam Chomsky of Boston College said one of my theories may be of phenomenal importance to the survival of mankind ( see website cancer fraud bad biotech , and read Mass Extinction/SARS and the email from Noam , plus others ) then read the 2010 open letter to Pres.Obama , well before the Ebola outbreak warning him of the dangers of new emerging diseases for which mankind has no defense titled , Prosperity vs Disaster ,and I received an email from the WH thanking me for my concern for national security and the economy .You should read it as it explains how we can stop the harm and promote the economy. In the 1990s there were proposals sent to Bill Gates and others .These people were more concerned with personal wealth generation and ignoring scientific fraud than helping mankind . Global warming and carbon taxes are a waste and too little too late .I told Obama mankind has TWO generations (50 years ) before mankind goes extinct .You should read it and consider what is said . I have been black listed and my research has been suppressed so NIH fraud and corruption could be covered up . Point of fact, all the TED conferences and speeches by Bill Gates and others is just hot air : the danger is not going to wait for people who support the status quo and personal wealth generation .The letter to Obama explains material much worse than mentioned in the article .You should read it if you really do care . I put my career on the line but the reality is most people don’t really care . And what that means is when you think it is important then it will be too late to stop it .